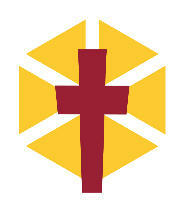 During the lifetime of Albany Park Baptist Church we have used logos which depicted the church building. 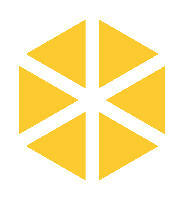 In late 2013 we revealed our new logo which symbolises a new phase in the life of the church. The cross reminding us that our focus must always be on Jesus. The red colour we have used here also ties in with the colours of our front doors and chairs, but also reminds us of the sacrifice Jesus made for us. Beams of light reminding us that Jesus is light of the world, and that we must be a light to the community in Albany Park. The shape of these beams of light is taken from the design of the windows in the church building, a feature that children often notice.